So I’ve seen Moulin Rouge! three times over the last week. Partly it’s because the music got well and truly stuck in my head (as we’ll see in What I’m Listening to this Week), but also, I feel like a little kid with their favourite story. 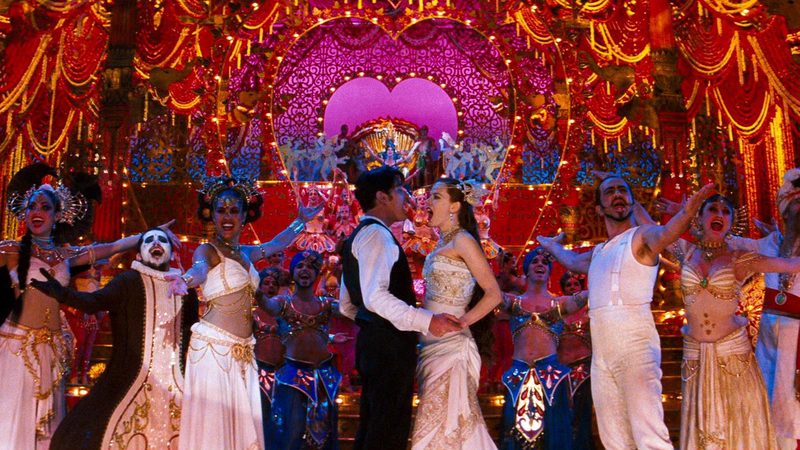 Basically, Baz Luhrmann turned a Pre-Raphaelite painting into a musical. No wonder I dig it so much. And it got me thinking. In a funny way, I feel like I imprinted on this particular story very young. Not just Moulin Rouge! per se, though that was the first variant I encountered. Moulin Rouge! is itself mostly a riff on La Traviata with some strains of La Bohème. La Traviata, of course, is the operatic adaptation of a mid-Victorian play called La Dame aux Camélias. In turn, that play was adapted from Alexandre Dumas fils’ novel of the same name. Lots of variations, all essentially the same story: a courtesan and an earnest young man; impossible love; self-sacrifice through deception; and of course, consumption. Doomed love and unabashed romanticism—what can I say? It’s my catnip. La Traviata remains my favourite opera, and I’ve never survived Act Three dry-eyed. And looking at my fiction, I can see echoes here and there. Not necessarily in courtesans and consumption, but in some of the themes, the feel…the motif of impossible love. I think that some stories do leave their mark on us quite deeply. They find touchstones within us, and so resonate through our own works. Asking why is kind of like asking why we have recurring dreams. There is something deep in our subconscious that sings the same song back, and so it makes sense that these are the stories we return to again and again—even if we’re not entirely sure why. Sometimes, they’re wholly unexpected. Honestly, I find myself returning to Neuromancer more than people might expect. I wouldn’t say it’s one of my favourite books—not like La Traviata is my favourite opera; not like East o’ the Sun and West o’ the Moon is my favourite fairy tale. But there’s a bit towards the end that’s never left me. Beyond ego, beyond personality, beyond awareness, he moved, Kuang moving with him, evading his attackers with an ancient dance, Hideo’s dance, grace of the mind-body interface granted him, in that second, by the clarity and singleness of his wish to die. Neon forest, rain sizzling across hot pavement. The smell of frying food… But all of this receding, as the cityscape recedes…as the roads and crossroads scribed on the face of a microchip, the sweat-stained pattern on a folded, knotted scarf. Fantasy author can’t get over the climax of a seminal cyberpunk work? Say what? It’s the moment of transcendence, you see. That’s what I keep trying to answer, in my own way. And that’s really it: some stories, you keep trying to write back to, subconsciously or not. For me, this all gets back to the idea that we write what we don’t understand. We write what confounds us, perplexes us, what the mind cannot quite work through. I’m not sure that it always does, of course. Some stories echo in us forever. And so we keep singing back to them. What stories resonate in you? PS. A reminder that Lauren Harris’s YA novel UNLEASH released last week! Do you like gritty urban fantasy and kickass heroines? You can get your copy here! Really, all of Moulin Rouge! but let’s just say, “One Day I’ll Fly Away,” which is a song to which I never really paid attention before this week. SPOILERS, it shows up as a devastating motif later, but I like it here as a way to show another side of Satine’s personality. It’s really the only time in the film we see her in (assumed) privacy, not performing for other people. Posted on May 8, 2017, in Writing and tagged creativity, fantasy, geek, Podcasting, stories, writer, Writing, Writing life. Bookmark the permalink. Leave a comment.